So what the heck is anti-ageing medicine? Dr. Willcox is Visiting Professor in the Department of Geriatric Medicine at University of Hawaii and Co-Principal Investigator of the Okinawa Centenarian Study, a 30-plus year, ongoing study of the genetic and environmental correlates of exceptional longevity that identified the first gene to be associated with human longevity (Takata et al. Lancet 1987) and numerous lifestyle factors important to healthy aging..
Is founder and Scientific Director of the Special Clinic Neukirchen for allergic, skin and environmental disorders in Germany. Author of more than 220 scientific papers, he received 1983 his PhD in medical biochemistry from the University of Saarbrucken and seved as Professor of Applied Laboratory Medicine and Clinical Nutrition at Capital University of Integrative Medicine, Washington DC, at Donau University Krems, Austria and at the University for Medicine and Pharmacy in Bucharest. Howard Thomas's past appointments have included the Board of Management of the Association of the British Pharmaceutical Industry; Chairman of the Committee of European Pharmaceutical Companies; member of the Development Board for Nottingham University; and he has been elected a Fellow of the Institute of Health in the UK. Skin Ageing. Is it all in the head? The Brain-Skin-Axis. Robert Verkerk PhD is an internationally acclaimed expert in health, agricultural and environmental sustainability. He is the founder of Alliance for Natural Health International, one of the leading NGOs in the field of natural medicine, where he also acts as executive and scientific director. Amongst his affiliations, he is a Fellow of the American College of Nutrition, regional fellow of the Royal Society of Medicine (UK) and Patron of the College of Naturopathic Medicine (UK). He has authored some 60 papers in scientific journals and conference proceedings and contributes regularly to magazines and other popular media. Dr Robin Willcourt is a Registered Specialist in Obstetrics and Gynecology in Australia and the United States as well as a Member of The American College of Sports Medicine, among other organizations. Richard is an internationally respected leader in healthcare and life sciences. He is Director of the Oxford-UCL Centre for the Advancement of Sustainable Medical Innovation (CASMI), a major UK initiative aimed at transforming the R&D and regulatory processes in life sciences to bring advances more rapidly and affordably to patients. He was recently appointed as chair of the Precision Medicine Catapult, forging a national strategy in this rapidly developing field. Dr Foglia and was educated in Punta del Este and in Montevideo where he attended the Deutsche Schule. He studied abroad specificly India, France and Rome, Italy. Currently Dr Foglia is working to investigate the human potential and developing a new approach to medicine. Deborah Colson has been specialising in nutritional support for mental health and well-being since completing her training at the Institute for Optimum Nutrition in London in 2002. She completed her MSc Nutritional Therapy at the University of Westminster in 2014. Deborah is a Full Member of the British Association for Applied Nutrition and Nutritional Therapy (BANT) and registered with the Complementary and Natural Healthcare Council (CNHC). How can we cope with chronic stress? The role of "trigeminal rebalancing" to achieve well being and well ageing in the XXI century. 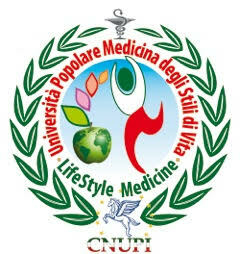 Prof. Megighian has received his MDS degree at Università di Padova Italy and in the same University his Ph.D in 1991. In 1993 he completed a postgraduate training in Geriatric Dentistry at the Un. Of London. He has co-authored several books and publications. He is also an active international lecturer in esthetiic and innovative dentistry. He is Fellow of the Academy of Dento Facial Esthetics. He works in private practices in London UK, and Florence Italy. Metal allergy - the missing link in autoimmune connective tissue disorders? Are vitamin C and polyphenols specifically killing cancer cells ? 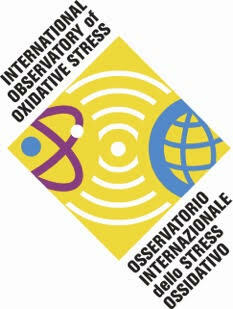 Chairman of the Greek Observatory of Oxidative Stress. From lipid profiling to nutrigenetics: the bases for personalized nutrition and healthy ageing management.